The EJ200 is a collaborative engine between Rolls-Royce, MTU, Avio and ITP – the shareholders behind EUROJET Turbo GmbH formed in the late 1980s to develop the engine for the Typhoon. The technology of the EJ200 makes it both smaller and less complex in layout than current engines of a similar thrust class, while giving it lower fuel consumption and an unprecedented power-to-weight ratio. The first series production Eurofighter Typhoon aircraft were flown in February 2003. In service, the EJ200 exceeds or matches the most demanding international standards for operational support required by the US, Europe and other International customers. Defence Turkey: Rolls-Royce Holdings plc will soon finalize the purchase of the outstanding 53.1% shareholding in Industria de Turbo Propulsores SA (“ITP”) owned by SENER Grupo de Ingeniería SA (“SENER”). Has this new development had an impact on any structural changes for EUROJET? Clemens Linden (CL): As was stated in the press, SENER decided that they would like to sell their shares. As Rolls-Royce was already a 47% shareholder of ITP, it had the right to become the first purchaser. ITP offered their shares to Rolls Royce and Rolls Royce made the smart move of saying yes to the purchase. The European commission process was finalized in April giving the green light to the acquisition and now the Spanish national aspect needs to be concluded. Once every review has been finalized, I fully expect that Rolls Royce will be able to conclude the formal steps of the purchase, but this will not change anything in our structure. ITP will remain ITP – just wholly owned by Rolls Royce. But, you know, Avio is also wholly owned by GE. When this development occurred around 3 years ago, it brought up similar questions, which we spoke about a that time. Although the developments in our industry may sound very strange, it is in fact quite normal. On one hand, in some areas partners can be collaborating with each other and in other areas competing with each other. This occurs not only in the aero-engine industry, but also in the aircraft industry. I was speaking to a colleague and friend of mine in Italy last night and he said to me, ‘‘I made a presentation 2 weeks ago in Rome, and I put up who my partners are, for instance in the Typhoon program those are BAES, Airbus, and then I wanted to say who are my competitors. I put the same companies up and the audience said…‘what’s that?’ That’s our daily business. On one hand we compete and on the other hand we partner, it’s simply a matter of fact. It’s important to note that we have a unanimous decision process in EUROJET. ITP will remain as Spanish partner so there’s no change in our contract. Defence Turkey: There has been a big and significant development in Turkey’s agenda right now, as BAE Systems has signed a contract with TAI. Within this program, it seems that engine selection would be the next issue, the twin-engine was approved by whole related parties. What is the latest status on this program from your point of view? CL: We are very glad about the recent developments and of course we were waiting for the signature of this contract, so therefore for us it is good news. It is a milestone which happened yesterday. So now there are three competitors in the race, there is GE, Rolls Royce on the other side of the firewall offering its own engine and there is EUROJET with the EJ200 and the enhancement of the EJ200. What we are currently doing here with the key stakeholders, on the basis of the lessons learned from the Typhoon program in the very early days, is to discover the right engine size. The size of the engine of course has a strong influence on the size of the aircraft. We are suggesting that stakeholders look into all parameters, such as the mission profile and the mission points that the Air Force has defined. Then of course the life cycle costs – the bigger the aircraft the bigger amount of fuel you need, so costs are a factor and technology level is also a factor. Just to name some key elements and for all of these factors we are suggesting that they be taken into account in an optimization workshop, together here with key stakeholders, Undersecretariat for Defense Industries (SSM), TAI, Turkish Air Force now with BAE Systems, in order to address all of these critical future areas because this product should fly 40-50-60 years, so you have to make crucial decisions. In order to make these crucial decisions, we’ve suggested this optimization round and then we should know what the best size of engine is. Once we have achieved the best sizing we will make the final revision of our offer. We have already made various offers in which, we have offered variants from 3% thrust growth up to 30% – we have really come up with a variety of offers which we have grouped into 2 packages. One package is from an engine inlet diameter point of view where you could still achieve a thrust growth of up to 25% and this engine can be retrofitted in a Typhoon. Which of course gives a business case and you could achieve a higher number of production engines, i.e. it’s another perspective. If you were to develop and enhance this engine and then only apply this engine in the Turkish Fighter Program, the budget would be really under pressure, but if you were able to sell this engine to Typhoon users, and we have 8 Typhoon users, as a retrofit option then there’s a payback on the development costs. That’s the reason why we have grouped our options into Package A retrofittable in the Typhoon and Package B 30% thrust growth if the optimization workshop ends up with a 30% thrust requirement. It means we are trying to give as many options as possible to TAI who in the end will make the aircraft. 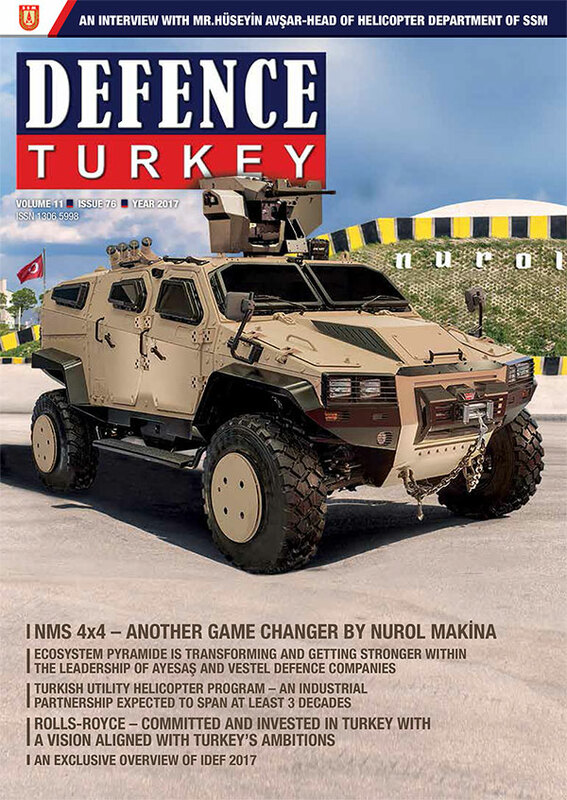 Defence Turkey: What are your thoughts regarding engine development, such as ITAR free, involving industrialization in Turkey and also export plans to other markets? What is your offer in that respect to the Turkish Government? 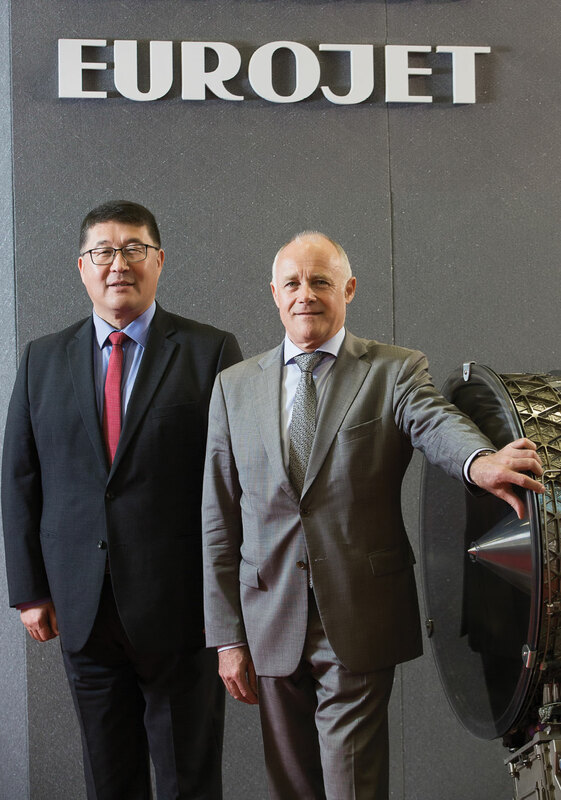 CL: Still, as we said last year, we are very willing to involve Turkish industry into design activities to grow the engine thrust and a part of this will be to make the engine ITAR-free. With the design involvement of Turkish industry and local manufacture, we will be able to achieve much, but we are not talking about manufacturing to blue print. That was a discussion I had with Prof. İsmail Demir at the end of December and he said, ‘‘Don’t come with an offer on blue print only, we have enough blue print production here in Turkey. We want to have knowledge and we are prepared and we are open.’’ Therefore, we are discussing the subjects with TEI, because from my prospective TEI is the key partner here in country in this regard. Defence Turkey: Can you share some more recent details about your cooperation activities with Turkish companies? You mentioned TEI, we know you have cooperation with Aselsan. With this program are your activities expanding? CL:Because the Turkish Fighter is such an important program for us we have formed a local team in Turkey. Mr. Mutalle Uluçay here, a colleague from MTU, is heading up our local team here in Turkey. We have Rolls Royce in our team as well and so we also have our colleagues from the Rolls Royce office in Istanbul. We have rented an office in Ankara at Tepe Prime as a base for our in-country team. That was the message that we wanted to give to the market and the key decision holders: we are not coming here to make an approach by helicopter. We mean it. We take action. The action is that we have a local office and we have a team. This team is of course now keeping up with the interfaces with all of the key stakeholders, with SSM, the Turkish Air Force, TAI, TEI, Alp Aviation, BNA, Aselsan, Havelsan, Gür Metal, etc. Mutalle Uluçay (MU): We are interested in a long-lasting relationship in Turkey. Therefore, we want to establish a permanent presence here. We’ve started and we have some good connection networks with all the stakeholders and we are also interested in the Turkish Aerospace Industries, therefore we have already contacted with SAHA, OSSA and all the others, and our intention is not only for 5-10 years, our interest is more like 50-70 years. It is a fact that Turkey is dynamic and the strongest market in this area and we see big potential here. From Turkey, we can discover other markets. Together with our Turkish colleagues, hopefully we can become partners. 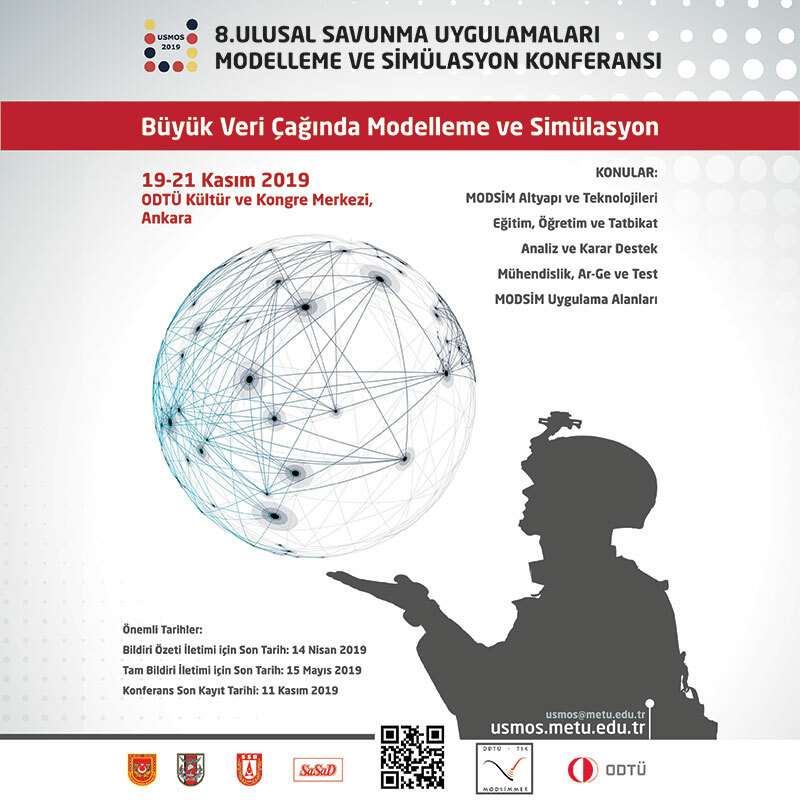 Defence Turkey: Are you planning for University relationships on the design? As with the Advanced Technology Center initiative from Rolls-Royce, can you elaborate on current and anticipated activities in this area? CL: There’s 3 pillars here to discuss: Pillar 1 - You offer the engine as is, to get the prototype into the air. Here we are speaking to TAI, TEI and Aselsan because the control system needs to be adapted, etc. This is the very first step. Pillar 2, the second step – the growth of the engine, where we have package A and package B –here we suggest involving a wider number of local industries. With the involvement of local industry we are looking at SMEs as well, and we are looking into institutes and universities. Rolls-Royce initiated the advanced technology manufacturing center. Our other shareholders would also like to invest into AMTC and we are talking to universities, Anadolu University in Eskisehir, ODTU-Middle East Technical University in Ankara, and that would be the third element. Because we see that in order to cooperate in country, it’s not that you are just focusing on one entity, you need to go broad and that is our intention. Defence Turkey: Do you have any investments or joint ventures like Kale Groups and Rolls Royce, and will something come up with TAI and TEI? CL: I need to be cautious here, but the message very clearly is yes, we want to invest, we want to team up. It’s not only a team up by signing a piece of paper, it’s really kind of a joint venture and we are very flexible and we are currently in discussions here with local entities. I would say what Kale Groups and Rolls Royce has signed is impressive, it’s an intention for a joint venture, it is not yet a joint venture, they have to take the next step. What they have formed now is a box, but the box is empty. What we can do is that we can create a box in a similar way and if you want to see it that way, we have projected the box because TEI is already a risk revenue partner with ITP on certain parts of the TP 400 engine, Rolls-Royce is in partnership and manufacturing programs with TEI and so is MTU Aero Engines. Actually, MTU just recently signed up for a long-lasting manufacturing contract on a helicopter engine with TEI so I would say we can install a box and put already real projects in it. There’s a difference. As you know, this kind of program always requires support from our governments. For Turkey, we have coordinated it so that Spain is supporting us as lead nation. Similar to the Typhoon program, it is very typical that one nation of the four partner nations is taking the lead. Spain already has a good interface with Turkey especially in naval aspects, i.e. there are already strong programs with the shipyards and the ships themselves and joint ventures are already set up here in Turkey. That was the reason behind the decision for Spain to be the lead nation to support us here in Turkey. Defence Turkey: Do you have any final remarks for our readers?